We all know how critical it is to have a mailing list for a successful business…but there's one big obstacle that can keep you from leveraging your list and that's getting more subscribers, but great news! It's easier than you might think. All it takes is creating simple free gifts that your readers can't wait to give their email address for. I'm Alice Seba and I've been publishing private label rights content since 2006. 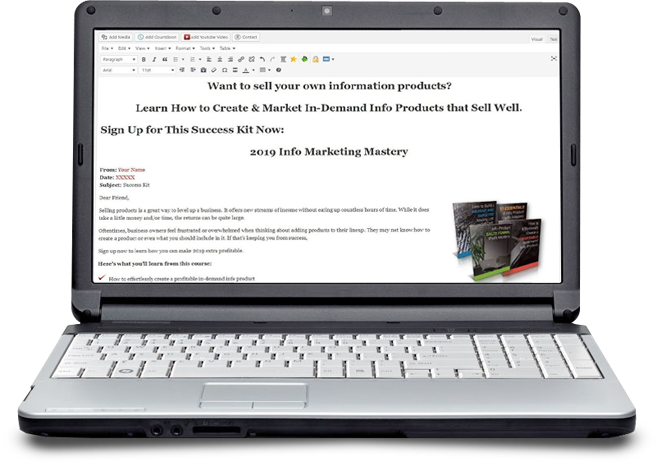 I'm pleased to announce our “The 2019 Info Marketing Mastery Success Kit” ecourse that will teach your readers information and tools to successfully create, market and sell info products online. It's a brand new, never-before-released ecourse for you. 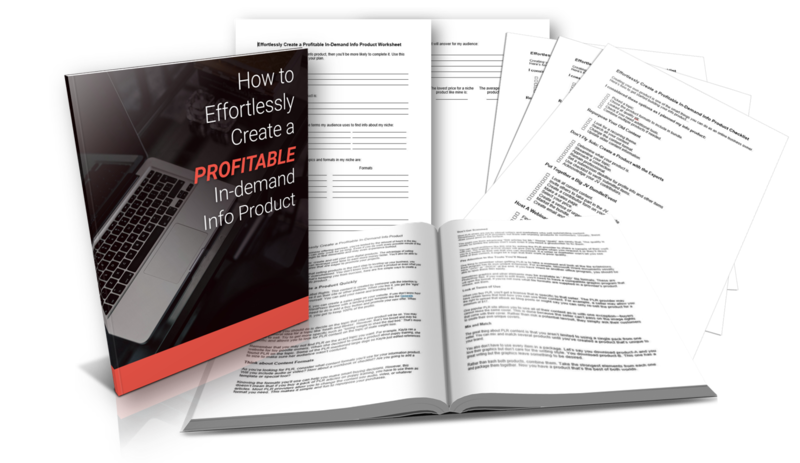 4 Illustrated Reports: You get 4 instructional guides (.doc) that teach your readers step-by-step information and tools to successfully create, market and sell info products online. 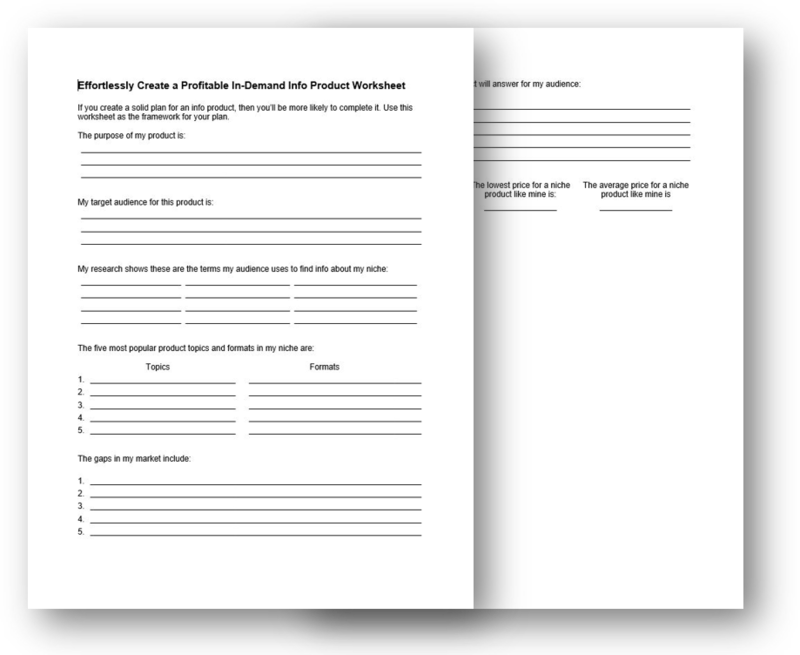 4 Worksheets: You get 4 worksheets (.doc) that accompany each one of the reports so your readers can stay on track while they work on growing their email list. 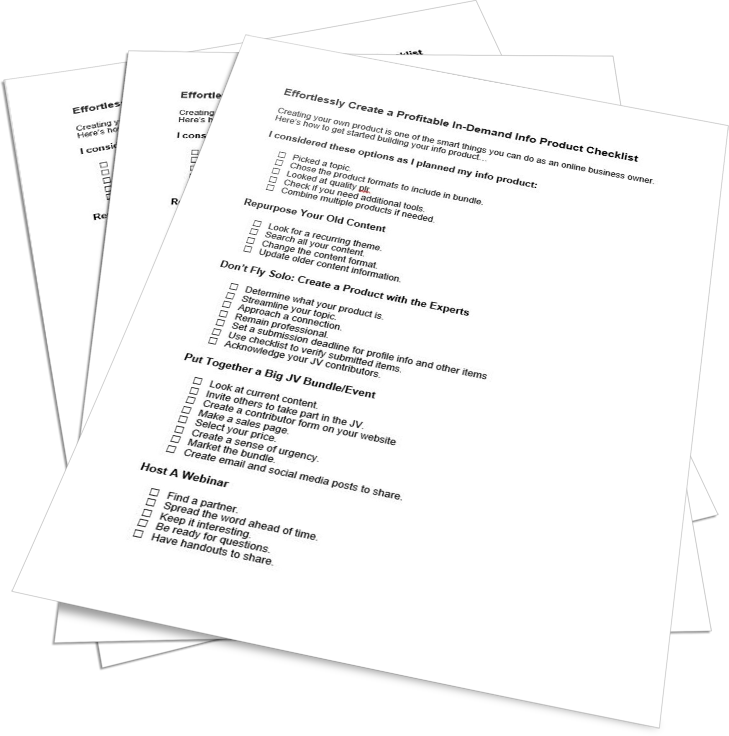 4 Detailed Checklists: You get 4 checklists (.doc) that will give your readers a summary of what steps to take based on each of the reports. 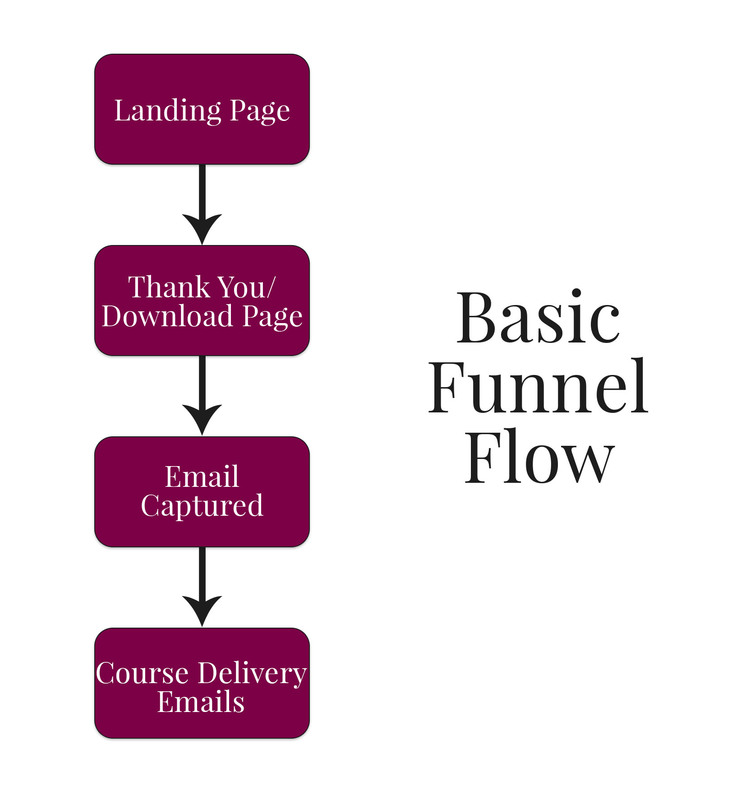 4 Course Delivery Emails: Add these emails to your autoresponder and deliver the course materials over 4 lessons. We've made it super easy! 1 Lead-Generating Opt-in Page: To help you grow your list with this content, we’ve included the opt-in copy and the WordPress-ready code for you. We even host the images for you! Marketing Funnel Diagram (not PLR): Giving a visual of how to set up the marketing funnel. 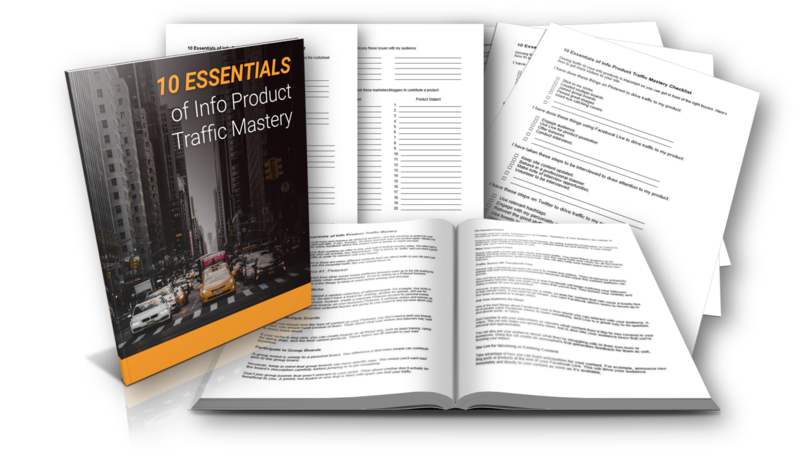 Targeted Website Traffic Checklist (not PLR): Includes tips on generating website traffic for list building and increasing sales. 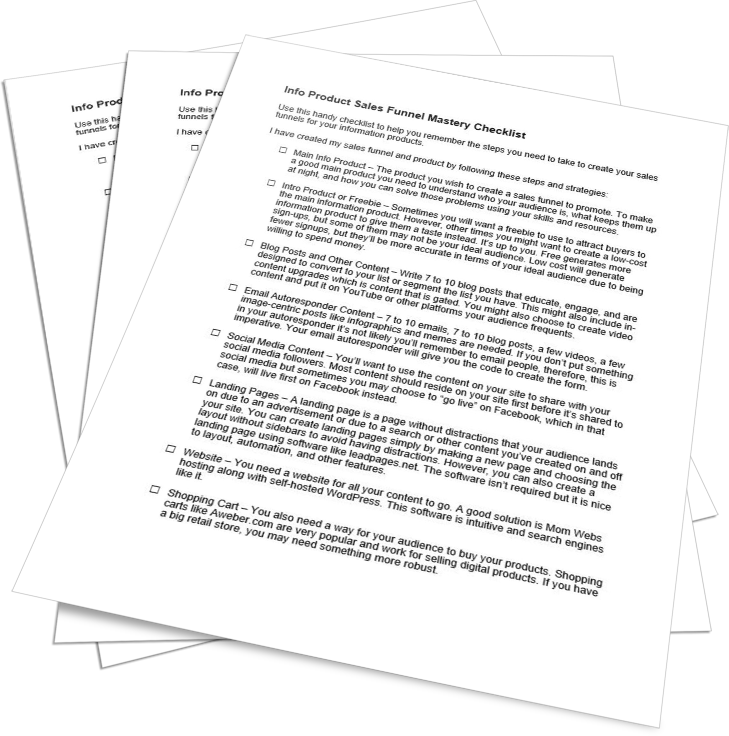 You also get a detailed checklist (1 page / 234 words) to help your readers get started building their info product…. You also get a detailed planning worksheet (2 pages / 144 words) to help your readers organize their thoughts as they create their info product. You also get a detailed checklist (2 pages / 383 words) to help your readers get started growing traffic to their site. You also get a detailed planning worksheet (2 pages / 166 words) to help your readers get traffic to their info product. Email marketing is more effective than social media marketing. You also don’t have to worry about the increasing cost of social media ads in order to be found. Instead, you just pay your monthly (or annual) fee and you get to continue your relationship with your subscribers for years to come. 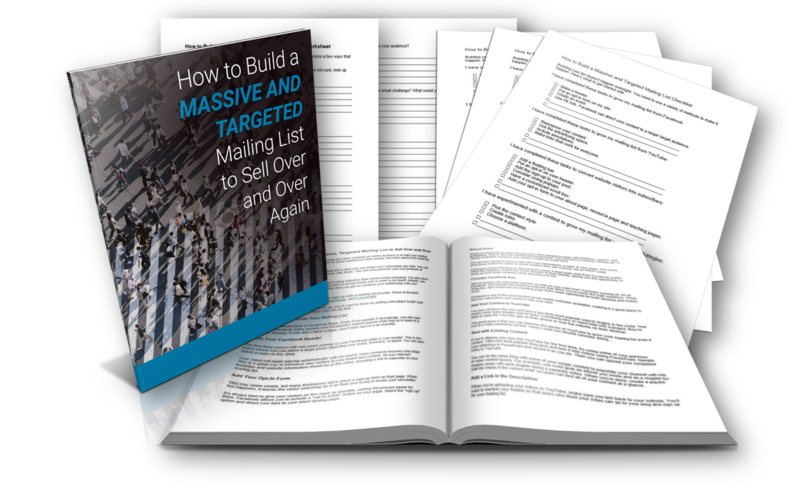 Learn how to build a massive and targeted mailing list to sell to over and over again! 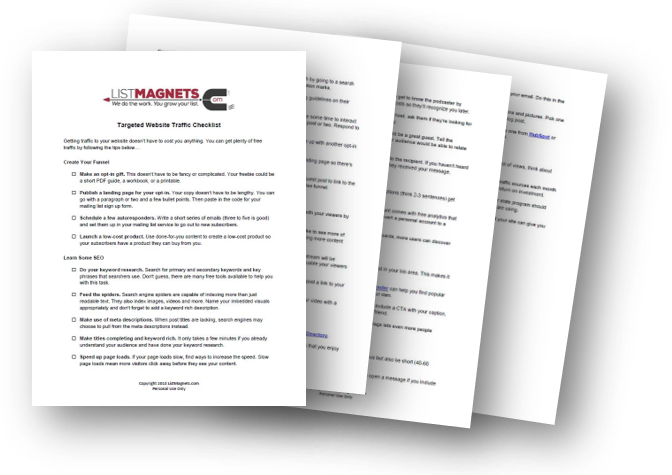 You also get a detailed checklist (2 pages / 337 words) to help your readers grow their mailing list. 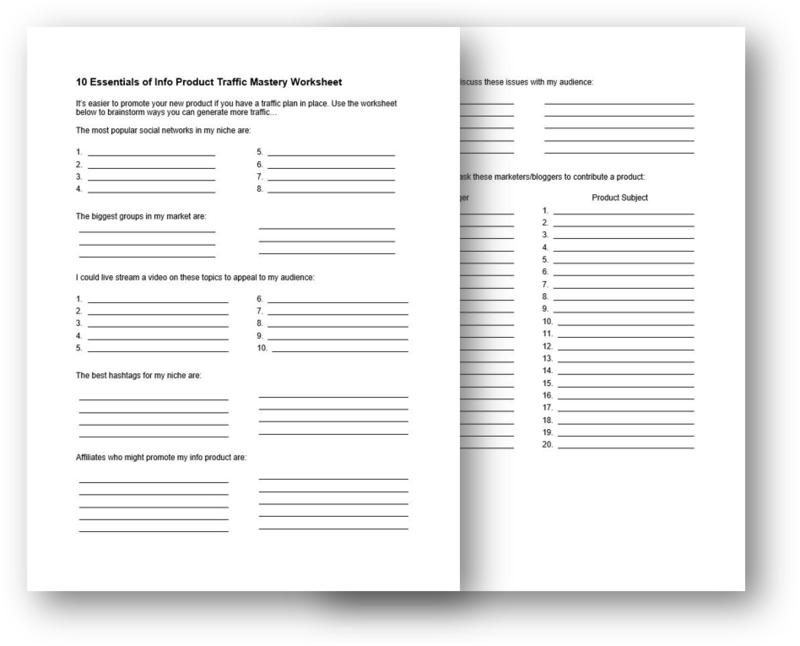 You also get a detailed planning worksheet (2 pages / 128 words) to help your readers plan how they will grow their list. Generating profit via information products is a lucrative way to leverage your knowledge, talent, and skill to build a business. To do so, especially online, it helps to develop information product sales funnels to help your audience make and continue contact with you on a scale that will encourage them to purchase the items you recommend for them. You also get a detailed checklist (1 pages / 498 words) to help your readers make and continue having contact with their readers. 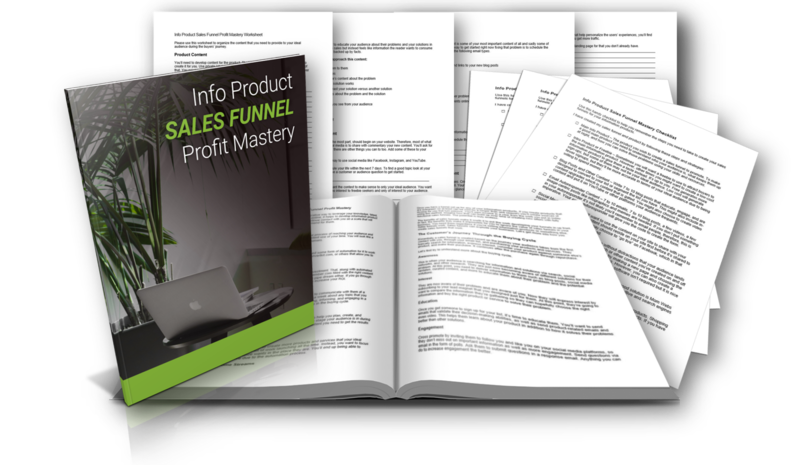 You also get a detailed planning worksheet (4 pages / 694 words) to help your readers plan out how they will generate profit using sales funnels. 4 done-for-you emails to add to your autoresponder and deliver the course materials to your readers over 4 lessons. To help you grow your list with this ecourse, we’ve included the opt-in copy…and even created the WordPress-ready code for you. We even host the images for you! Just fill in the blanks with your own information, autoresponder opt-in code and you’re ready to roll. Use this diagram as a visual to help you set up your sales funnel with your content (no PLR rights). 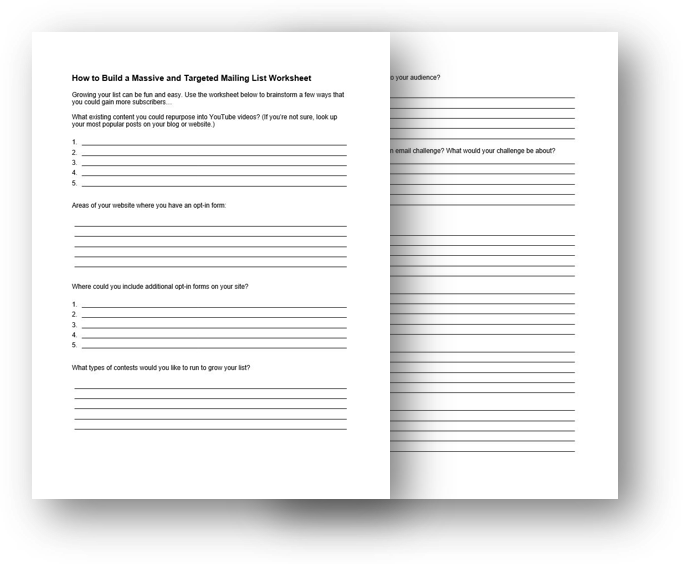 This checklist includes tips on generating more website traffic for list building and increasing sales (no PLR rights). 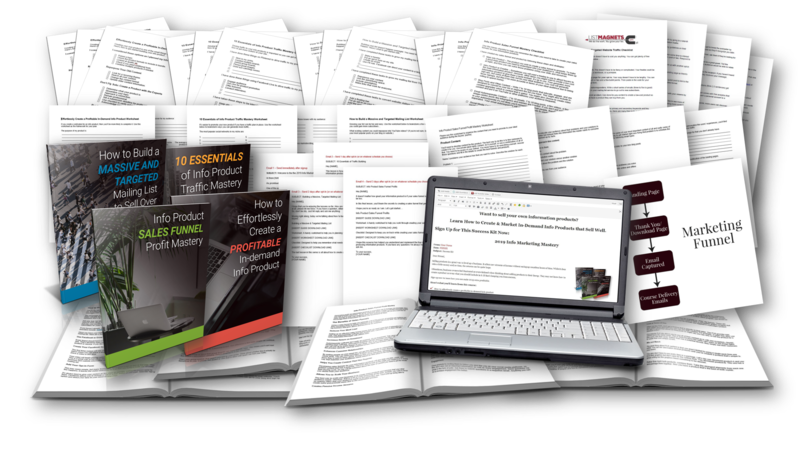 Grab it now for only $27 ($3,425 cost to create yourself) for your PLR license, so you can save endless hours of time and plenty of money to provide your readers with the information they're looking for.